The LINBIT software, “allows us to resolve availability problems without resorting to high-cost solutions,” stated Dmitry Makovey, Systems Administrator at Athabasca. LINBIT, the de facto standard in open source High Availability (HA), Disaster Recovery (DR), Software-Defined Storage (SDS), and the force behind the renowned DRBD® software, today announced that it is bringing affordable highly available IT to educational organizations. 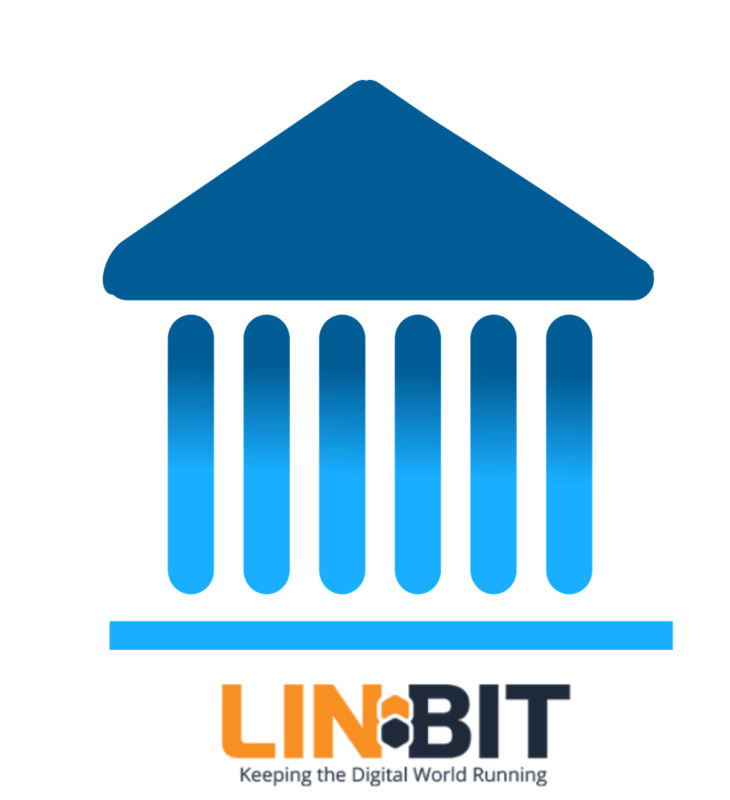 LINBIT’s suite of software enables the implementation of always-on systems for enrollment, online testing, registration, and other critical services. Across the education market, digitization of key processes, from managing student records to assignments and tests, have led to a growing requirement for always-on, highly available IT services that often demand 99.999% availability and 24/7 data protection against hardware failures. Customers in education have been looking to LINBIT to meet these increasing demands. Performance Matters, Inc., a leading provider of software for professional development, teacher evaluation, and student assessments, chose the LINBIT HA software to minimize database downtime. Before LINBIT, database recovery took hours and backups would only restore to the previous day’s data. Performance Matters required a solution that would keep data up to date for each transaction and ensure near real-time data integrity. This level of HA is increasingly important, for example, to allow teachers to administer online tests that are graded and written directly to a database, making test results available to students within minutes. If the database crashes or transactions are lost, then hundreds of student results would also be lost. The LINBIT DRBD software “is perfectly integrated with the components of the SUSE Linux Enterprise Distribution and it gives us enough flexibility for software and hardware maintenance without service interruption,” said Armin Burkhardt, Head of Computer Service Group at Max Planck Institute. The world-renowned Max Planck Institute carries out research in life, social, and human sciences in multiple countries. To ensure the availability and the long-term protection of scientific data, it deployed two clusters in separate locations operating under the LINBIT solution. For Athabasca University (AU) in Canada, affordable HA drove their decision to choose LINBIT. AU was tasked with providing students access to the campus database and applications, while controlling costs. As an online university, it is essential for services to be available 24/7. AU’s servers run exclusively on Red Hat Enterprise Linux, Citrix Xen virtualization software, and the MySQL database. Dmitry Makovey, Systems Administrator at AU stated that the LINBIT software “allows us to resolve availability problems without resorting to high-cost solutions. Simplicity of its setup and maintenance allows us to spend less time figuring things out with DRBD and more time working with application stacks.” After several years in production, the LINBIT solution is still successfully in production mode at AU. Boasting almost 1.7 million downloads, LINBIT has been working with organizations around the globe for more than 17 years to build an integrated enterprise-ready solution for HA, DR, and SDS. Bringing affordability, openness, control, and other benefits of the open source model to the mission-critical enterprise, the LINBIT solution is comprised of DRBD and other proven open source software, such as Pacemaker, Corosync, Clustered Logical Volume Manager, Ansible, and more. DRBD has been in the Linux kernel since 2009, proving itself to be both fast and reliable. “LINBIT has recently made it even easier for organizations to deploy high availability and disaster recovery,” said Brian Hellman, COO of LINBIT. “We’ve automated the process by creating an Ansible playbook which allows users to test drive an HA cluster in their own environment. Additional case studies on the use of HA and DR software by educational organizations are available at the LINBIT website. LINBIT is the force behind DRBD and the de facto open standard for High Availability (HA) software for enterprise and cloud computing. The LINBIT DRBD software is deployed in millions of mission-critical environments worldwide to provide High Availability (HA), Geo Clustering for Disaster Recovery (DR), and Software Defined Storage (SDS) for OpenStack and OpenNebula based clouds. Visit us at http://www.LINBIT.com, https://www.linkedin.com/company/linbit or https://www.linkedin.com/company/linbit. LINBIT is Keeping the Digital World Running.